Reset yourself with deliciously healthy recipes, tips, tools and tricks to regain confidence, self-esteem, and energy. 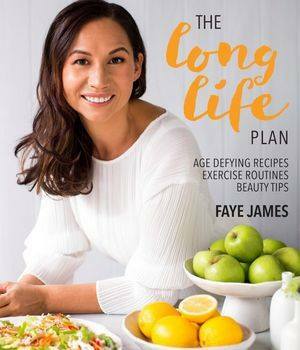 Faye James’ inspired healthy living plan not only gets your groove back but also gives you more time to do all the things you really want to do. Love this book and it gives you a refreshing look at how to work a health plan that can be in the budget for your lifestyle with sensible workouts and beauty tips and homemade recipes. Great and simple read and lovely images to inspire you.